Ash Andersen (Rock-n-Roll.biz): Thank you so much Mike for taking the time to do this interview with me. Mike Danilin: Hey Ash! Thank you very much! Ash Andersen (Rock-n-Roll.biz): I know that you play keytar Mike. But what other instruments do you play? What is your musical background? Did you study music as a kid? Or did you discover your passion for music when you became a teenager or an adult? 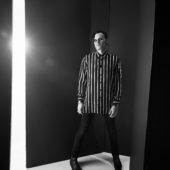 The title track off of Interzona’s 2016 album, ExploZive. 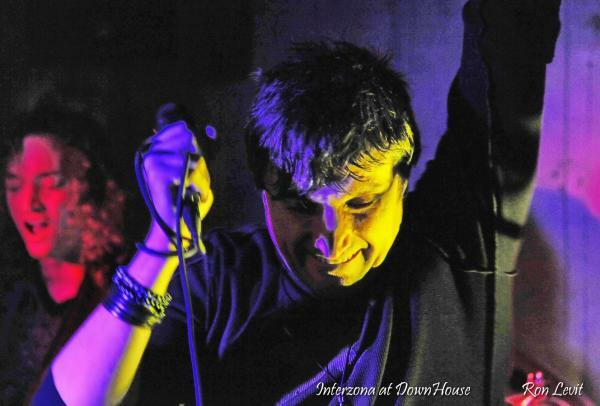 Mike Danilin: Music has always been a part of my life. My father played the Bayan, which a is a Russian style button, accordion type of instrument back in his military service years in the USSR. He also was the leader of a couple of jazz bands. My mother was a music major. Before she moved to the USA, she used to teach music theory and history. I started playing piano and attending music school when I was five years old. In 1979 at the age of seven, I heard a French band called SPACE. They were a disco inspired, instrumental band. Their leader was a composer and keyboardist called Didier Marouani. This band blew my mind. Later on when, I was living in New York City in the mid ’90”s, I played around in different bands. I started producing electronic bands, which led to the formation of Interzona around 1998 -99. Ash Andersen (Rock-n-Roll.biz): How did you first meet Mikhail, Boris, Gene and Andrey? When did Interzona officially become a band? Interzona’s second album “Extremum” cover. Recorded in 2003. Mike Danilin: I met them all at various music festivals, events and concerts. I met Andrey through a mutual friend, who knew that we were looking for a sound engineer. Andrey was working at a radio station and had dreams of working with a live band. When Interzona first was created, we had a guitarist and a D.J..It was just a studio project. Ultimately D.J. D – Gree, a.k.a Greg Drakler left to pursue his own aspirations. 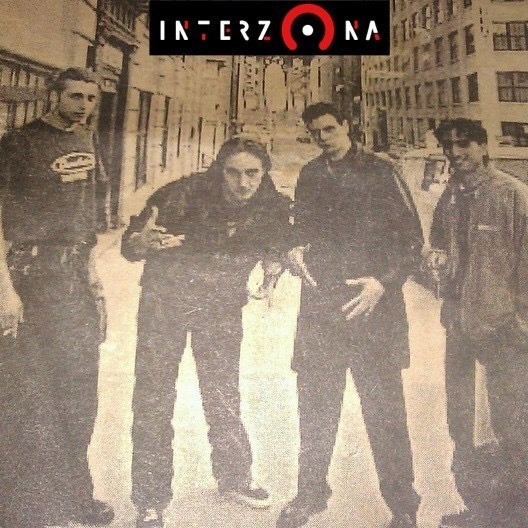 Interzona’s first gig was on February 6th, 1999 and we consider that date to be our band’s birthday. 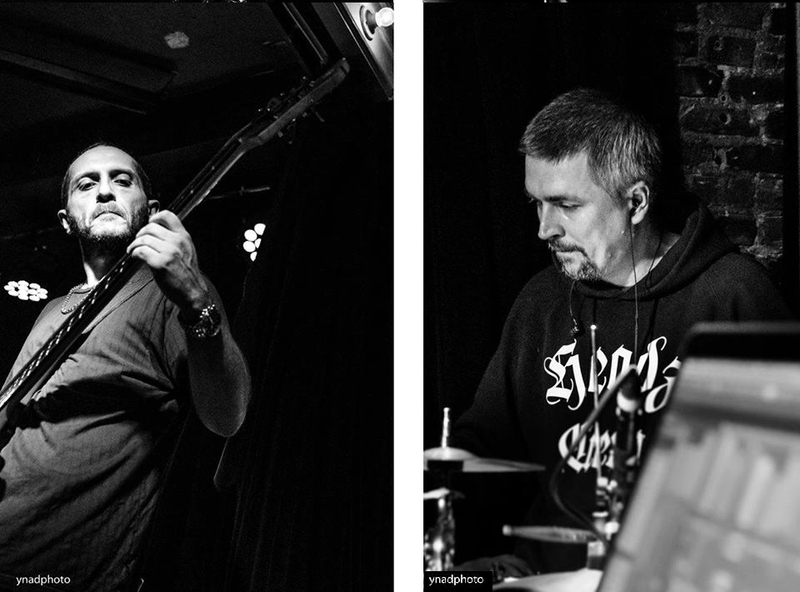 Mikhail Musayev was our first drummer and Boris Zeldin began playing keyboards. Interzona has gone through several different line up changes.Currently in 2019, we have a lot of the original members back in the band but some of our members have now switched instruments. Mikhail now plays guitar and Boris is now our drummer. Now, I sing and play keytar controller or also what is known as a shoulder synth. Our current bassist Gene has been with us since 2018. 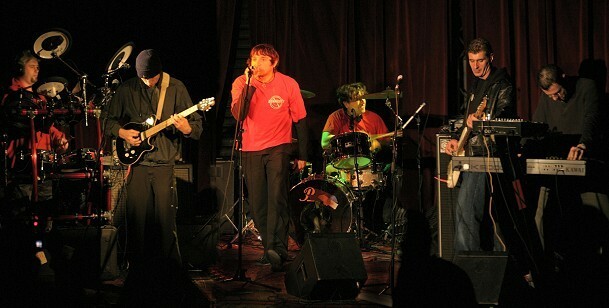 Interzona live at The Hook in Brooklyn, New York in 2004. 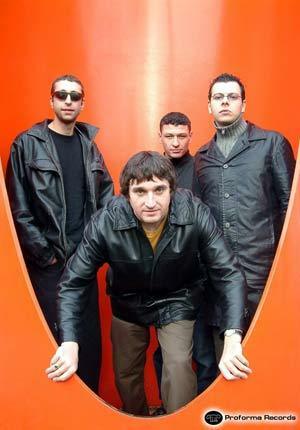 From left to right: Alexander Fomin – electronic percussion, Serge Burzhulovsky – guitar, Mike Danilin – lead vocals, Mikhail Musayev – drums, Oleg Ignatenko – bassist, Boris Zeldin – keyboards. Photo credit: Alexey Belakov. Ash Andersen (Rock-n-Roll.biz): What were some of the biggest challenges in recording “ExploZive” and “Secret Sessions?” Which if any do you prefer more? Recording or playing live? 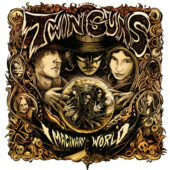 ,Mike Danilin: Interzona recorded three additional albums when we first started. My biggest personal challenge was to come up with English lyrics that I would not be embarrassed by. Up until the mid 2000’s, I wrote and sang Russian lyrics. It took me some time but, I’m satisfied with the results. I would say that I love both recording and playing live. Yes, they are two different things. But, I get tremendous out of both experiences. In Interzona’s case, we have a strong electronic component to our sound. Some of these aspects inevitably find their way into a live performance. It was very challenging for the band to figure out how we could play live. It took our sound engineer Andrey Yarygin approximately a year to build and invent a system for Interzona live concerts. This system works incredibly well and we are proud of it as a band. 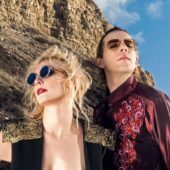 Ash Andersen (Rock-n-Roll.biz): Mike, I noticed on both “ExploZive” and “Secret Sessions,” there are samples that sound like announcements when you are waiting for a flight in an airport terminal. What is the inspiration behind these samples? Mike Danilin: I’m a huge fan of SCI – FI literature and movies and even tried writing my own short stories when I was a kid. Regarding the samples that you are referring to in “Come Knockin.” These are from various meteorologists giving their forecasts on the news about natural catastrophes such as tsunamis. We included the voice of Miki Endo, the girl from Fukushima. She was a true hero, who kept trying to warn people via loudspeaker not to approach the coast until she was ultimately killed by the tsunami. Although I started working on “Come Knockin” earlier, the song was completed during the aftermath of hurricane Sandy. I was living in Coney Island which was considered Zone A in New York City. This was the area that wound up being the most affected by that hurricane. I witnessed a lot during those days and I was a part of a grass roots volunteer group created to help people cope with aftermath of that disaster. As for the samples on “Man From The Moon,” those all came from the Apollo eleven video footage. Very Early Interzona. From the Archives. Ash Andersen (Rock-n-Roll.biz): All of the material on “ExploZive” and “Secret Sessions is extremely well crafted and produced. Are you the principal songwriter in Interzona? Or do the songs just evolve organically through practice and jam sessions? Mike Danilin: All of our members in Interzona are highly technically inclined as well as experienced. This makes the whole experience of being in Interzona both rewarding and exciting. Nearly every time we started off with a particular concept for a song, the end result would wind up being something that was completely different. Over time, it has become more difficult to allocate time for the band because of our personal lives and commitments we have to our families. Since the mid 2000’s, I have been the principal songwriter and producer of Interzona material. I do pretty much all of the work myself except for the guitar parts and the mixing and mastering. I truly miss the production “jams” that we used to have. But, it also feels nice to know that I can write and produce on my own. Ash Andersen (Rock-n-Roll.biz): Would you consider “ExploZive” and “Secret Sessions” to be concept albums? Interzona live at Coney Island Baby in New York. Oct 2018. 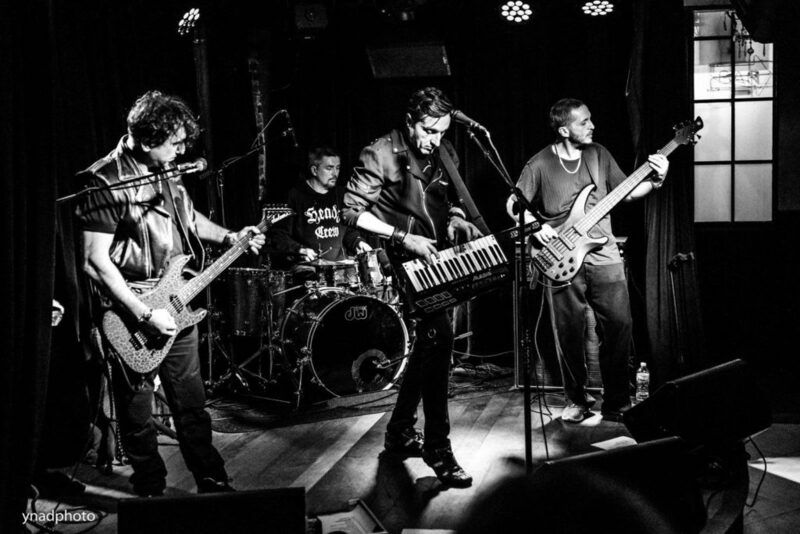 Left to right: Mikhail Musayev – guitar, Oleg Smirnov – drums, Mike Danilin – keytar and lead vocals, Gene Kamikadze – bassist. ,Mike Danilin: There may be younger fans out there, who do not really understand what a concept album is. A concept album is supposed to convey a certain idea, message with all the songs appearing in a very well thought out order. There is also supposed to be very specific art on the album cover, which relates completely with the main theme or message of the album. We realize that almost no one does this anymore but Interzona is a band of “indie oldsters” and we still think along these lines when we are working on material. “ExploZive” EP’s theme is well reflected in its title. The “Z” is a hint to the bands name. The songs take you inside a variety of different situations such as feeling overcome by stress, being sucked into the daily routine, finding yourself in the midst of an unfolding natural disaster and ending up feeling devastated by personal failed relationship. The songs also explore the feelings of losing sense of reality when it is no longer clear what is a dream and what is real. In a sense, “ExploZive” is a study of the human psyche, when a person goes through various stages of extreme edginess. It attempts through the music and lyrics to help people get in touch with that inner unbreakable self and to help overcome the stress. As for “Secret Sessions,” the theme of the album is the alienation that one sometimes can feel when living in a metropolis. It is similar to the movie “The Matrix” where reality and the dream world can sometimes be difficult to distinguish. These are the themes we were thinking about for these two albums. Of course, we also welcome other people’s interpretation. Mike Danilin: I borrowed the name “Interzone” from William Burrough’s “Naked Lunch.” We found out that there was a band that was already using this name. So we changed one letter to make it different while at the same time giving a nod to our Russian origins. To me Interzona rings so many different bells and that is what I like so much about the name. One of its most important meanings in my opinion is that it is an intermediate and unstable state. We found out later after we chose the name that the word “zona” is a medical term. It means layer such as the protective layer around an eggshell. When a spermatozoid reaches an egg, it gets tested by the zona layer to determine whether or not it will gain access. So, you could say that this is the intermediate state in the germination of a new life. An idea, album, song or book or any sort of creation is another layer within the band. But once again, we do not wish to impose any idea upon our listeners and we welcome other interpretations. 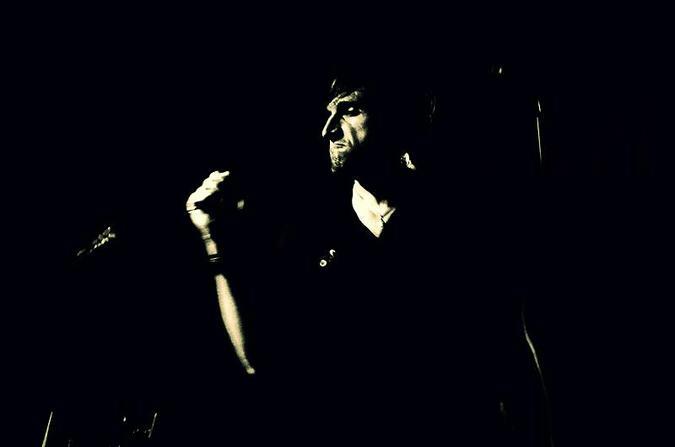 Ash Andersen (Rock-n-Roll.biz): Mike, I know that you and Interzona have toured extensively overseas. What about here in the States? 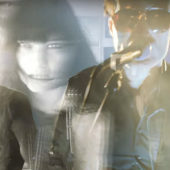 Will Interzona embark on a USA tour in the future? 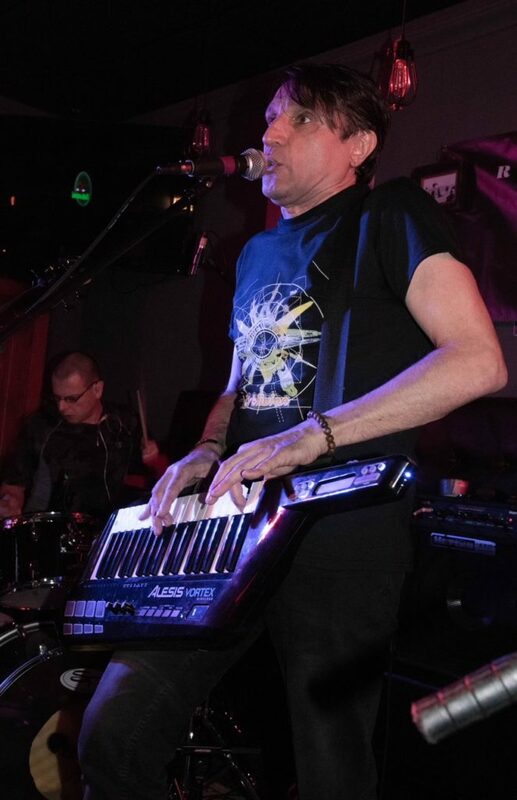 Boris Zeldin – Drums, Mike Danilin – keytar live at The Red Doors in New York – February 2019. Mike Danilin: We have played in Boston on several different occasions. We have also played in Seattle, Washington and Portland, Oregon. There are no plans for an extensive tour as of yet. But, we are open to any ideas, suggestions and offers! Ash Andersen; (Rock-n-Roll.biz): What are some of the major challenges that come along with touring? How do you maintain energy and stamina while you are frequently changing time zones? Mike Danilin: Often times, when talk to my famous friends they complain that they are sick of touring. I always respond the same way. I say to them, “Ok then! Let us drink to the day when I have toured so much, I feel the same way!” I LOVE touring! I love the difficult parts such as jet lag, the craziness and the inevitable fatigue. These are all the necessary components of being a band on the move. There is only one thing better than touring and that is another tour! It is one of the things in life that truly makes one feel alive! Ash Andersen: (Rock-n-Roll.biz): What are the long and short-term goals for Interzona? Can fans expect another album in the near future? 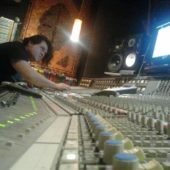 ,Mike Danilin: We have finally found a wonderful distribution partner in Rebel Sound Records. We have released “ExploZive” and “Secret Sessions” and there is another album in the works. We have booked some club dates and will be playing at a few festivals in New York City. We invest our heart, souls and money into what we do. So we only perform if it is a paid gig. But whenever something great does come along, we make it a point not to pass it up. Ash Andersen (Rock-n-Roll.biz): Mike, please share with our readers how they can check out Interzona. Ash Andersen (Rock-n-Roll.biz): Excellent. Thanks again Mike. It was great doing this interview and thanks for taking the time to answer my questions! Mike Danilin: Thank you Ash! Cheers!